Digitisation has caught Europe unawares. We were overrun by ITC giants from the United States and Asia, we were humiliated by the NSA and its greed for data – and worst of all: We let it happen. Europe was simply too slow. This shall and will change now. Digitisation has overrun Europe, but we are about to stand up again and turn the tide. 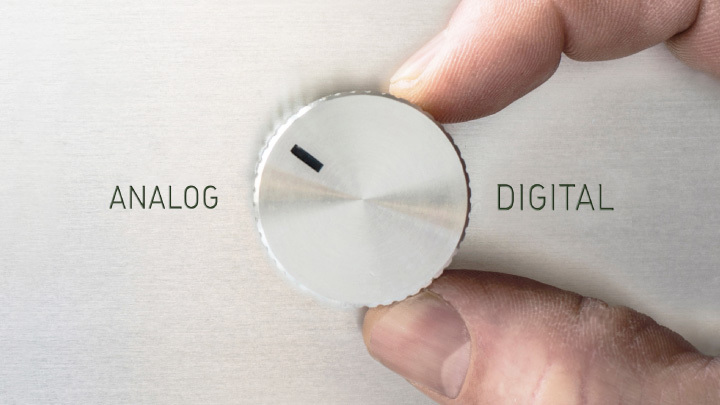 Because digitisation holds the key to a better, to a really united collaboration. Digitisation has the potential of finally forming a strong European community which has so far only been existing in theory. Europe and the United States have been communicating for more than 100 years via the sub-sea cable initiated by Great Britain. Since then, the powers have shifted by 180 degrees. Today the Internet giants from Silicon Valley steer the flow of data. Deep down in the ocean, data is primarily flowing in one direction: from Europe into the United States. 54 percent of all apps generating this data also originate in the United States. On the other hand, only four percent of all European products are being used on the other side of the ocean. What a mistake! The Internet business has taken up speed at a tearing pace. Google, Facebook or Amazon illustrate that billions can be made online. However, laws don’t mean much to these industry giants. Self-driving cars, the colonisation of the Mars and eternal life are more important. The buzzword is “technological singularity”, and progress is about to overtake itself. Europe is far behind in these developments and is further humiliated by events such as the NSA spying scandal. US companies are buying European start-ups or businesses facing a crisis in order to strengthen their position of power. But there is hope: Some companies refuse to be impressed by the shows of power from overseas and serve as models for a promising European future. The IT giant SAP is one such example. Another one is the medium-sized music retailer Thomann, which has been able to outperform Amazon in customer ranking through its excellent service. Further mention be made of the company Würth, which is in a position to deliver its screws to construction sites quicker than Amazon can, and is thus in the lead. 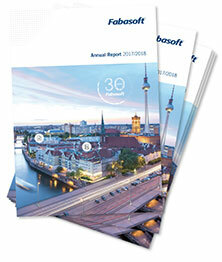 Fabasoft has also done everything possible for its stakeholders to make maximum use of digitisation. In spring we successfully launched two trendsetting appliances for our Private Cloud solution as well as genuine end-to-end encryption. In October we succeeded in winning the Österreichische Post AG as a reseller, the result of the high security standards and the openness of our proven Cloud ecosystem. Last but not least we were awarded the five star certification of the EuroCloud Star Audit late last year. This makes the Fabasoft Cloud the first Cloud service worldwide that is awarded this unique quality certification for its standards throughout the entire value-added chain. 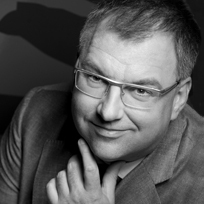 For Fabasoft, the result of this audit is both an acknowledgement as well as a mandate. We will continue our efforts in positioning our sophisticated Cloud ecosystem as a role model for a Cloud industry “Made in Europe”. “Made in Europe” has to become a unique sign of quality. To this aim, European economy must get up and running again as quickly as possible. This calls for collaboration throughout the Union, as has already been realised in large projects such as GSM or Airbus. Maybe our united forces can bring about another European hit. For example, an operating system used globally but “Made in Europe”. Technological supremacy means: Hard work and a wealth of ideas. Based on the following two pillars, European IT can rise again: The Data Protection Directive as well as the Network and Information Security Directive. A few weeks ago the decision was taken to (hopefully) implement the General Data Protection Regulation in 2018 – not a day too early! In addition, Europe urgently needs common initiatives such as the United Clouds of Europe. In a few years time, everything will be part of the Cloud. We have to be ready for it. What do we need in preparation? First of all, a comprehensive certification providing a clear statement on the performance of a company, its business processes, data security or the protection of personal data. The second issue is agility. We need standardised contracts for the use of Clouds. The third issue concerns openness and interoperability: Europe needs standards for data access, data structures as well as data portability. Switching the supplier shall be possible at any time. Infrastructure represents the fourth issue: The efficient use of Cloud computing requires broadband without any limits. Europe has recognized this and is heavily investing in the new 5G technology, which will soon be needed owing to the tremendously growing number of smart devices. For the year 2019, estimates predict a number of 24 billion devices including M2M communication in the Internet of Things. Over the same period of time, the data volume is predicted to grow by 30 times. Within the framework of the “5G Infrastructure Public Private Partnership”, the European Union is providing 700 million euros for the development of 5G to ensure that Europe will be a frontrunner in high-speed broadband. Finally, we need basic services that can be used identically in all member states. This applies in particular to digital identity, digital signatures and digital delivery. Suppliers of Cloud services have to develop these applications separately in every member state – standardised programming standards are highly necessary. A definition of European standards is the prerequisite for European companies to play a role in the global market. Once these tasks have been completed and the new digital Europe is finally up and running, what will be the possibilities? Electronic identity and signature as a common key to all administrative processes and commercial requirements will make many things possible. Voting online, for example. Many young people are hardly interested in politics at all. BUT: 42 percent of young Europeans between the ages of 15 and 24 years say that they have already commented politically online. Why not meet this target group exactly there! Estonia shows how this can work: Since 2005, Estonians can vote online. In the Estonian parliamentary elections of 2015, 64 percent of the electorate decided to use their right to vote, and 31 percent of them did this online. Compared to the elections of 2011, online voting gained by almost 25 percent. Studying and higher education will be possible everywhere and at any time. The European Union is pushing eduction into digitisation. In today’s information society, everybody with a lack of digital know-how risks serious disadvantages in professional as well as personal matters. People with special needs or living in remote areas are facing totally new opportunities in the area of eLearning – provided that their Internet connection is fast enough. To avoid that programming keeps a certain touch of alchemy, it is important to teach the basics of programming at a very early age. Digital alphabetisation will otherwise remain half-hearted. Estonia is a pioneer in this area, too: Children learn basic programming in primary school already. By the way: More than 90 percent of today’s job descriptions already require digital competencies! Payment without any limits will become a matter of course with eBanking and eInvoicing. In digital Europe it will be easy and transparent to set up an account across borders, regardless of the account holder being a private person or a company. Online banking has already become a normality. In Northern Europe it is more or less a standard: 91 percent of the Icelandic population are using online banking, closely followed by 89 percent of all Norwegians. On average, 44 percent of all Europeans transfer or receive money online. Invoices are also increasingly online. In Germany, electronic invoices have been equal to paper invoices since 2011. Austria implemented this legislation in 2013 to follow the respective EU directive. Business processes become by far simpler, quicker and cheaper – just think about the postage fees no longer required! Health care will cross borders. Life expectancy is constantly on the rise in Europe, leading to increased expenses in health and social services. Sober assessments predict that in 2050, nine percent of the EU’s gross domestic product will be required. The instruments of digital Europe are becoming an important ally in encouraging people of all ages to take better care of their health everywhere and at any time. Every European patient has the right to high-quality treatment everywhere within the Union, including the reimbursement of costs according to the rules of the social insurance provider of the home country. Furthermore, eShopping will no longer be restricted, thus providing the European economy with an additional and strongly needed impetus. Trade in goods is increasingly being turned into trade in data. This also requires an end to the annoying geo blocking, to finally make online videos available across the entire European Union. Briefly summarised, the conditions for this bright future are: The development of the digital infrastructure – such as broadband Internet –, directives for standardisation and an adequate investment into the European start-up scene. Europe needs to take care to avoid a structure of society that looks like a bagel: A big hole in the middle. MIT professor Andrew McAfee warns of the decline of the middle classes which may happen if we allow the benefits of technology and their rise in productivity to destroy our jobs instead of create new ones. He is demanding a rise in entrepreneurship as the solution. Peter Diamandis, CEO of Singularity University in Silicon Valley, says that in only ten years, 40 percent of today’s top 500 companies worldwide will no longer be of importance. Let’s not allow for this! We need to take care that digitisation does not dig holes in Europe, but fills up existing gaps and thus helps us achieve new prosperity – to turn the bagel into a nice, round cupcake. Tu felix Europa!